This is a very special happy hour post with random prize information! There is a brand new challenge up that will get your mojo jumping! Did you notice all the pink? We're celebrating the women in our life this week in honor of breast cancer awareness month. Our sponsor from last week's challenge has a very special campaign, and we are thrilled to have a small part in it. Please visit their website or facebook page for more information about this very special event, and to find out how you can get the Fight Like a Girl stamp set for just $3! The facebook Girl Fridays have prepared very special posts this week using stamps from A Muse Studio's Fight Like a Girl Set. This will be a random winner and you do not have to play in the challenge to qualify. Simply leave a comment on this post for your chance to win! You can leave a new comment each day to increase your chances. Woohoo! Congrats to Karen and all the VIPs and contenders. Honestly I think everyone who entered the challenge are all WINNERS! Way to go, everyone! Gorgeous picks! Congrats to everyone! Big congrats to everyone! Thanks for recognizing my card as one of the Contenders. Happy crafting everyone! Ditto Virgina! These entries were fabulous! Beautiful job everyone! Wow, to see my name and card up there as a winner humbles me beyond beleif! 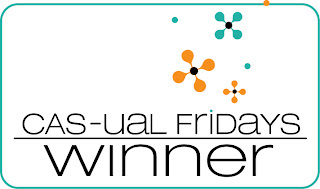 Thank you so much CAS-ual Fridays! Congratulations to the mentions too, their cards are fantastic! I have to say (and not just because I won) that this was thee most fun, thee most creative challenge idea I've ever seen in my blogging career, keep them coming! Oh, and I can't WAIT to hear about your news, too! Thank you so much! I agree with Karen, the idea was brilliant and very inspiring. What a glorious group of winners, each one was gorgeous! This is so very exciting and congratulations to all of the winners! Congratulations to all the winners! Thank you for the chance to win. Congratulations to Karen and the rest of the VIPs and contenders! This was such a fun challenge and I thoroughly enjoyed seeing everyone's cards. Wonderful cards, congratulations winners! And thank you for a chance to win this stamp! Congratulations to Karen and the other girls. Beautiful card and great chalenge. Great choices, congrats to all the winners! Always love the cards that people make for your challenges. Congrats, Ladies! Beautiful cards...every one. Happy WCMD! Thanks for the inspiration for these cards. It will make me look in not so obvious places for inspiration. Congrats to all that won....Loved seeing all the creations!! Those Inks are so YUMMY! Congrats to karen and all the winners.Thanks a lot for the chance to win this yummy goodies. Congrats to Karen and all the other ladies! Beautiful cards - great cause. Thanks for the chance to win! 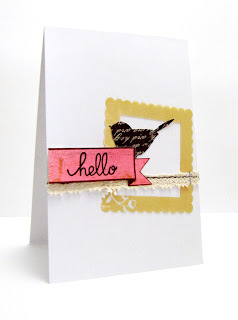 Love all the gorgeous cards and a.s. goodies!! Such gorgeous colors!! Hooray for amuse! Wow look at those gorgeous cards...congratulations! What a great cause and giveaway. A big CONGRATS and totally awesome cards! Thanks so much for naming me a VIP! This was a super fun challenge! All the entries were so awesome and fun to look at! Congratulations to the winners. I enjoy surfing this blog daily. Can't wait to see what comes next. Hugs. Such beautiful cards! Thank-you for the chance the win. Fun colors, set sounds fun. Yeah, I do fight like a girl! Congrats to you karen... Great card. What a great challenge this was. Cool to see everyone's inspired takes. 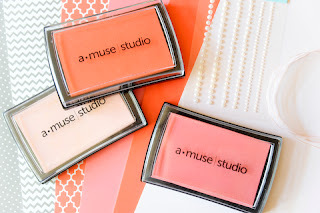 I am not a lover of pink but I absolutely love this idea and the shades of pink from A Muse! Thanks for inspiring us! Beautiful colors in this set! It's fun to see who won! congrats to the winners! 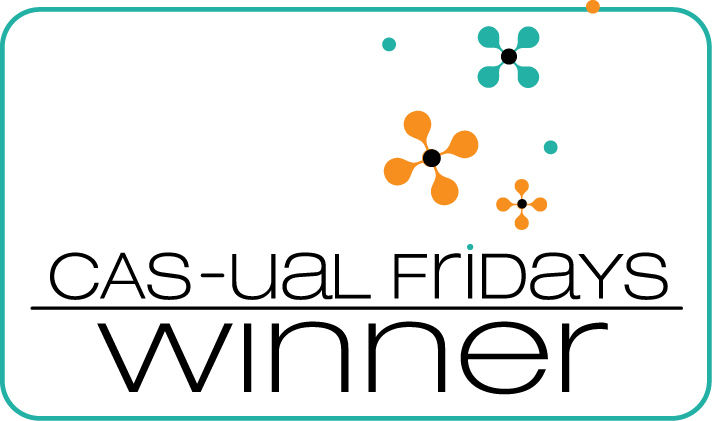 Congratulations to the winners and contenders this week! Thanks for a chance to win the Fight Like a Girl stamp set!! Beautiful cards! Congrats to all the winners, contenders and VIPs! Great cards, ladies! Congrats to all the winners! Thanks for the chance to win some pink inks, too...so appropriate this month! Congratulations, great cads!! love all the pinks, hope to win too! Love all the cards, winner and the contenders, thanks for sharing your wonderful creations. congrats to all those lovely ladies!!! 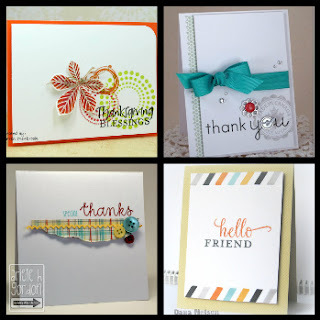 Great Cards, Great Colors and Great Stamp Set! Love it! I love to see how each person takes the inspiration and Interprets it from her own point of view. that's a great stamp set! I love all the pink! Your post said that we can post a comment each day for another chance to win all that pink. So here I am again today! It's a wonderful things a.muse is doing! I've got to order that set! Congratulations to the winners and runner ups! Gorgeous, gorgeous cards. Thanks for the chance to win. How lovely! Congrats to the VIPS and contenders ~ WTG! Not only love the Fall season but appreciate all the attention given to breast cancer awareness. Pink is powerful! Thanks so much for offering this giveaway & supporting a cause that is close to the hearts of so many of us women. It's your favorite serial commenter with ANOTHER comment ;) Thanks for the chance to win! All gorgeous cards. Very inspirational too. Congrats to all the winners! Fabulous cards! What gorgeous yummy colors. Thanks for the chance to win.